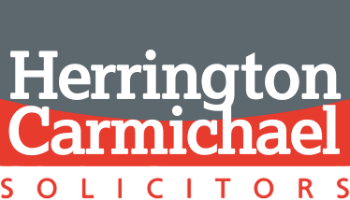 We are pleased to provide you with the Herrington Carmichael LLP employment law update for November 2018. In the case of Sheikholeslami v University of Edinburgh, the Employment Appeal Tribunal (“EAT”) held that the test for proving a claim of discrimination arising from a disability is not a strict “because of” test. This case related to an employee who had been dismissed because of her refusal to return to work in the role she was employed in prior to her extended period of sickness absence. The EAT confirmed that the reason the employee was refusing to return to work did not have to be solely because of her disability. Instead, it could be for some other reason, if this reason could also be linked to her disability. For example, the employee may have been badly treated in her role and this may have affected her disability (i.e. by causing stress and anxiety). This case demonstrates that employers need to be very careful when identifying the reason for a dismissal, where an employee is disabled. It is important to be able to show that the reason for dismissal is entirely unrelated to the employee’s disability. The Court of Appeal held in the case of Timis and anor v Osipov that an individual can be liable for detriment of an employee. Two directors, Mr Timis and Mr Sage were instrumental in dismissing Mr Osipov, after he had whistleblown. Mr Osipov pursued his claim against the individual directors as the company itself was insolvent. Ordinarily, an employer is not liable for a detriment where that detriment is the dismissal of an employee. However, the Court of Appeal, in this case, confirmed that this exclusion did not extend to the individual decision makers concerned. Employers and employees should be aware that this liability could arise where a detriment has been suffered. This extension of liability to employees themselves is common in discrimination claims. However, this extension to detriment claims means that a new line of approach for potential Claimants has been created. In the run up to the Christmas period, the cases involving parties start to increase. The extension of work environments needs to be considered by employees. We have previously reported on this case but it has now gone through the Court of Appeal. So, we are reminding readers of it again, here. In the case of Bellman v Northampton Recruitment Ltd, the company arranged a Christmas party for its employees. After the party had finished, the managing director of the company and a number of the staff continued the party in a hotel. After a while, an argument broke out and the managing director gathered all of the staff present and began lecturing them to assert his authority. Mr Bellman questioned the managing director’s decisions. The managing director then punched Mr Bellman and caused brain damage. The Court of Appeal held that the company was vicariously liable for this injury, citing points including the seniority of the person who inflicted the injury and his involvement in the management of the business and also the fact that the event had been a continuation of a company organised event. While we would hope that this type of case would be a rare occurrence, employers should be mindful to remind all staff of the expected behaviour both in the workplace and at after work events. The Court of Appeal held, in the case of WM Morrison Supermarkets plc v Various Claimants, that an employer can be vicariously liable for an employee’s deliberate and malicious misuse of personal data. In this case, an employee had a grudge against the supermarket and so deliberately stole and publicly shared personal data of thousands of employees. A group of these employees decided to pursue the supermarket for the breach of their personal data rights. The rogue individual has faced criminal charges in relation to his actions. The Court of Appeal held that Morrisons were vicariously liable for this breach. This is on the basis that the individual was acting in the course of his employment and that it did not matter that the actions were malicious. This demonstrates the importance of robust data protection measures being in place to prevent this kind of incident. This case related to a breach under the old data protection rules, where compensation was much more limited. With the new levels of compensation available since May 2018, this could create a very substantial liability for employers.